Pope Francis: A Social Justice Pope? The resignation of Pope Benedict XVI made it clear that we are observing a pivotal moment in church history. Benedict has self-consciously acted as a transitional pope, living to see his own successor. And for the last few weeks I and millions of others have wondered: Where does this transition lead? That is still an open question, but the answer began to take shape yesterday when the assembled cardinals emerged to announce,habemus papam. 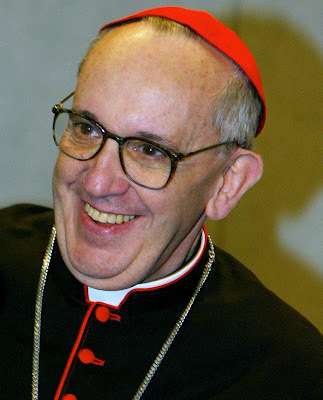 The newest pope is Jorge Mario Bergoglio of Argentina. The new pontiff is a groundbreaking figure. He is the first pope from the New World, and the first in a millennium to be born outside of Europe. He is also the first man from the Jesuit order to be elected to the papacy. 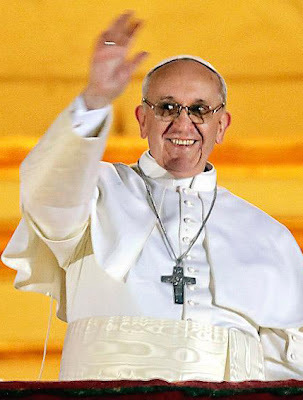 Finally, he is one of the few popes in recent centuries to take a totally new name:Francis. This name captures my attention the most. Bergoglio is a deeply conservative leader, doctrinally speaking. He has stood resolutely against any liberalization of abortion laws in his native Argentina, and he has spoken out against gay relationships. As a cardinal appointed by Pope John Paul II, none of this is very surprising. Neither John Paul nor Benedict were in the habit of appointing progressive cardinals. What is intriguing is that Bergoglio has a reputation for being concerned with social justice. The journalistic coverage so far has told a story of a cardinal who has forgone many of the privileges associated with his rank in the church hierarchy. During his time as Archbishop of Buenos Aires, he reportedly chose a modest apartment rather than the palatial quarters to which he was entitled. It is said that he cooks for himself, though it is normal for a man of his station to have a private chef. Rather than taking a chauffeured car, it is said that he regularly rides public transport. And he has chosen the name Francis, naming himself after a man who embraced total poverty, living in solidarity with the poor, marginalized and outcast; a man who sought a fraternal relationship with all of creation and, it is said, bore the marks of Jesus’ crucifixion in his own body. This is a startlingly radical name for a pope! At this stage, it is hard to know what, precisely this name might signal. 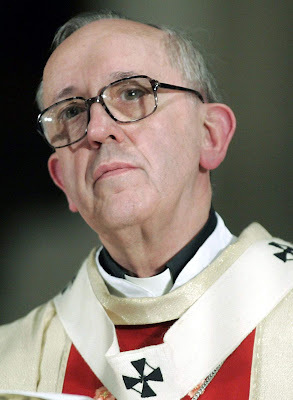 Does Bergoglio aspire to lead his church into an imitation of Francis’ radical poverty and submission to Christ’s suffering? Is the new pope as concerned with communion and care for the creation as Francis of Assisi? Could Pope Francis be a pivotal figure in the history of the Church, helping to guide the Church to an understanding of our faith that is more deeply rooted in dedication to social and environmental justice? The very fact that Bergoglio is doctrinally conservative could make him the right man to lead this transition. In this deeply divided age, liberals are not expected to care about personal morality and conservatives are not expected to concern themselves with social justice and environmental stewardship. But what if this pope has the courage and faith to embrace both concerns at once? What a powerful leader he might be! As Pope Francis ascends to the papacy, I dare to hope for a man who will unite many of the warring tendencies within the Roman Catholic Church. I pray for a man who can, with humility, tenderness and love, uphold the Church’s teaching on the sanctity of life, the obscenity of war and the importance of personal holiness. At the same time, I dare to dream that this pope might also use all of the power and influence at his disposal to make the Church a prophetic voice in an age of global empire, standing firm against the powers of economic injustice, militarism and environmental destruction. So much remains to be seen, and I am aware that in a year’s time I may look back at this blog post and grimace. But for the time being, it feels right to nurture hope. I will pray for this new pope, that he will live up to his namesake and bear the marks of Christ’s suffering poor in his body. And I will pray that we will have the courage to join him in bearing that burden. We all need to pray for him. That the cardinals selected someone not of the usual mold shows a consciousness that there is a need for a breath of fresh air. 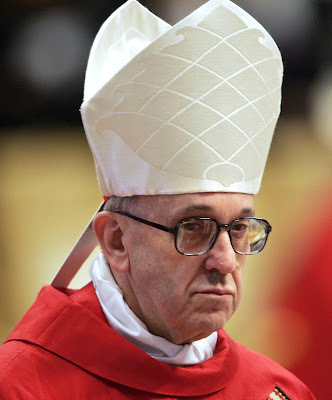 That already he has said no to some of the customary stuff of the pope (like the red stole) shows he does not feel bound to the ways of the Vatican. How will it all turn out? We don’t know, but it is in the interest of all Christians that the Pope be an authentic moral voice. For whatever it’s worth, Micah, being for “traditional marriage,” so to speak, and against abortion doesn’t make our new pope “conservative,” it makes him Catholic and, of course, Christian. Pope John Paul II also spoke out on many “social justice” issues. “Social justice” issues are not liberal issues or conservative issues. “Social justice,” in my opinion, is a completely secular idea. These are, rather, Christian issues. Real practicing Catholics believe the same things, per Church Teaching handed down by Jesus Christ.